A coin doesn’t have to be valuable to be beautiful and it is for this reason why, despite the few silver issues highlighted previously, that the majority of my collection are low value bronze denominations. A particularly good example of which is this, my nummus of Constantine. 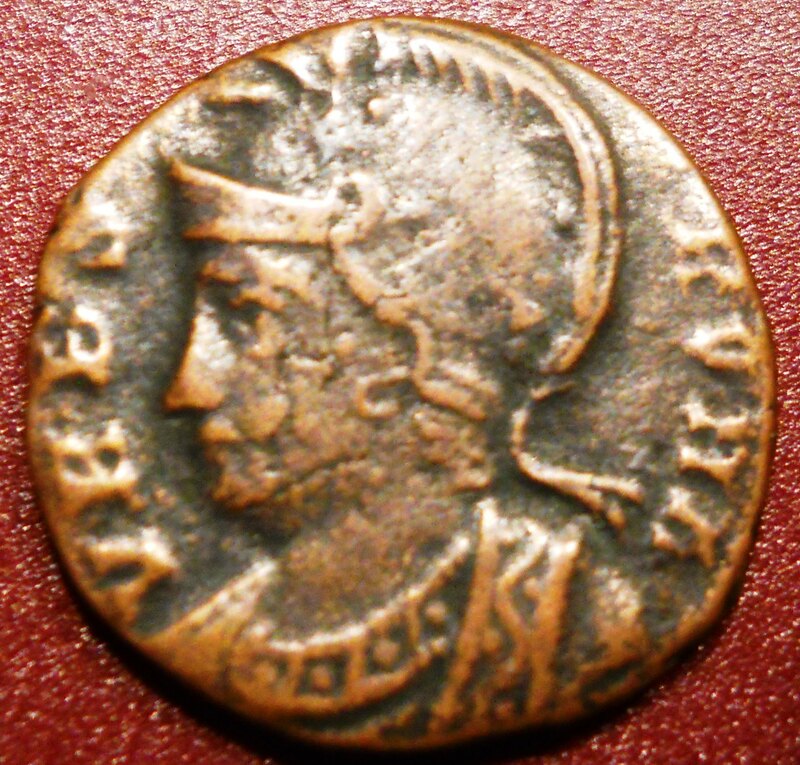 The obverse shows a helmeted and armoured bust facing left inscribed VBRS ROMA, translating as ‘The City Rome’, signifying that the bust portrays Roma, the personification of Rome. 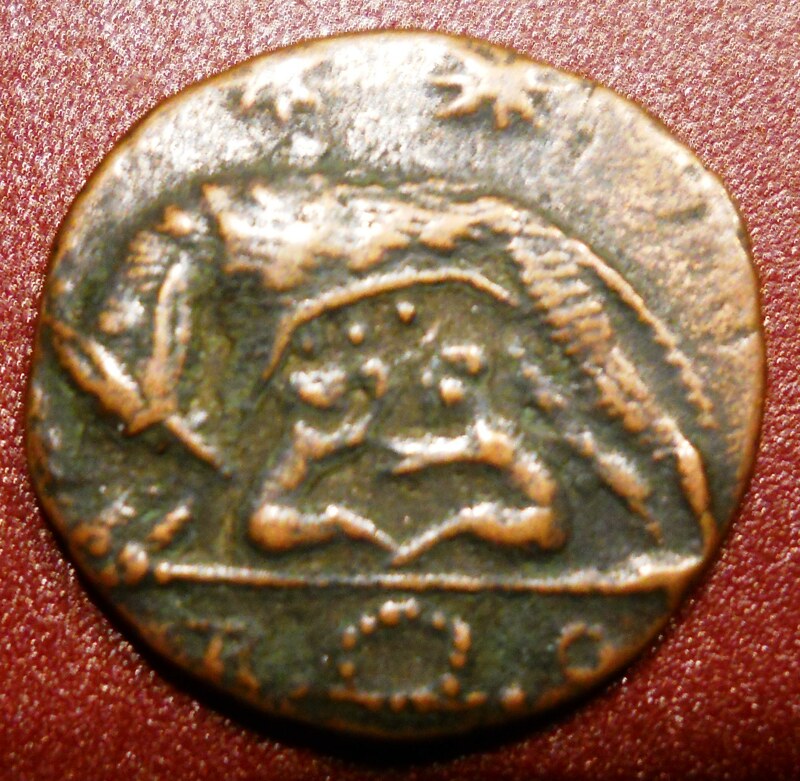 This coin in itself is a very very common issue, in fact it is possibly one of the 3 most common 4th century coins that you would ever find in Britain therefore its monetary value now is very low, however it is the message behind the coin and the beauty of its execution which holds my fascination. The preservation of this coin is great, you can really see the details of the helmet and attire, revealing the dots and zags very clearly. Additionally the reverse retains all the elements of its design, from the cheeky angular face of the wolf to Romulus and Remus’ outstretched arms. Its a great example of how this issue looks. If you are interested in identifying Roman coins, it will really pay to look at a number of examples of this issue and learn the shapes so you can recognise it in less well preserved issues since Urbs Roma coins appear all the time in 4th century coin assemblages. This reverse side shows the baby twins Romulus and Remus being reared by the she-wolf, a core story in Roman mythology. It dates to 330-340 and was issued by the house of Constantine. Finally this issue is a commemorative issue, released to celebrate the ancient capital of the Roman empire, Rome, and it accompanied another issue which celebrated the founding of a new capital in the east: Constantinople. In some ways it is a hint at the dividing future that lay ahead for the empire, however thats an easy thing to say with the benefit of hindsight. The reason I like it so much is because the idea of a commemorative coin is an idea very familiar to us living in modern Britain as many of us will have seen the coins and stamps with special designs for major events such as the London Olympics, and it is a good reminder of how propaganda messages are everywhere. A work in progress 3: Nearly there!